Tarte Maracuja Oil – Your Hydration Saviour! I don’t think I’ve ever used a product that’s produced such quick results as Tarte’s Maracuja Oil. From the minute I used it on the first evening, I loved it and the effects were shown in the morning in my hydrated and less tired looking skin. This is definitely a saviour product and I can’t see myself not using this, I’m hooked! So what is it? 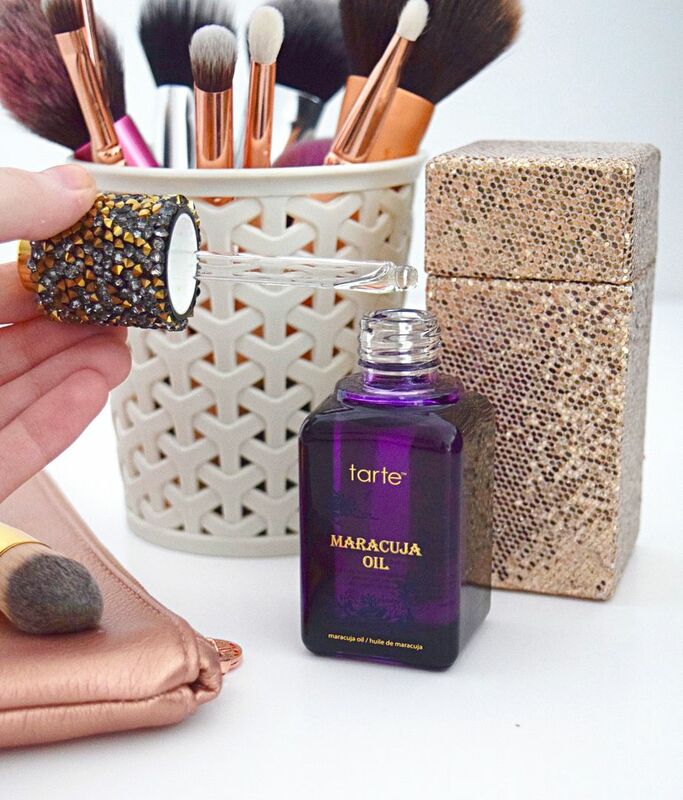 Well Tarte’s Maracuja oil is an overnight oil packed with Vitamin C and essential fatty acids to hydrate the skin, so if you have sensitive, dry or acne prone skin this could be a winner for you. Maracuja Oil can otherwise be known as passion-flower or fruit oil as it comes from the passion-flower plant as well as from seeds of the passion fruit. It is known to really aid dry skin and also has anti inflammatory properties, as well as being rich in antioxidants. Is there anything passion-flower can’t do? See my sleep tips post for how it can help aid your sleep. I love to use this on its own as it’s not greasy at all, it’s very lightweight, but also a good tip is to mix a couple of drops with your regular night moisturiser so you are reaping those benefits too. As Maracuja oil is hydrating, but it doesn’t have say the cell or collagen properties that maybe your moisturiser might have. You really only do need a few drops however to cover your face and neck, so imagine how long this bottle will last. You can also use it on your cuticles, ends of your hair and rough patches. The reviews I’ve seen just back up what I’m saying, which I’m really happy about it, as I love this product so much and would highly recommend it in your skincare regime. Would it be cheesy to say it’s a genie in a bottle? 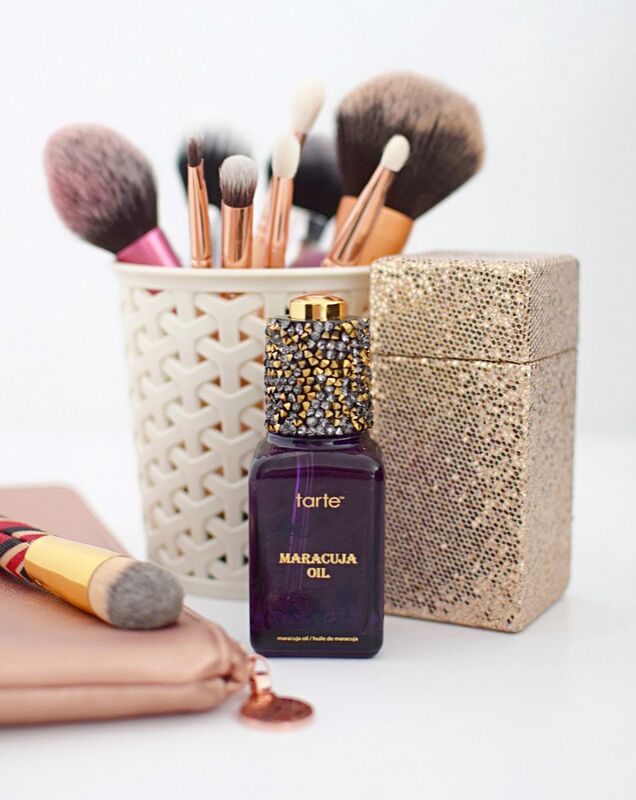 Tarte Maracuja Oil is available for £40 at QVC UK. Previous ArticleMother’s Day Giveaway – Win A Time Bomb Daily Regime Kit! I love all kinds of oils, I believe that they are excellent for our skin! 🙂 this one sounds amazing!